SwarmOnline is delighted to welcome our new Apprentice Developer, Iza, to the team! Iza is currently completing her Software Development degree at University and was previously working in customer services for the cosmetics industry. Having joined the team just 2 weeks ago, this seemed like the perfect time to reflect on her first impressions of being a ‘Swarmer”! Coming from a customer service background, I didn’t quite know what to expect when starting my first job working for a software development company. I knew that I would be working with some new, interesting technologies and hard-working, talented people, but how would these elements come together to create software? And how would my skills transfer to this new role? I have a unique position within the team as a Graduate Level Apprentice. Over the next 2-3 years I’ll be spending the majority of my time working at Swarm whilst supplementing my learning at Heriot Watt University as part of working towards my degree – Software Development for Business. At the end of this unique experience, I will be in the advantageous position of having my degree as well as practical industry experience working at a company that delivers innovative software for clients all over the world. From what I have learnt during my first two weeks here at Swarm, I’m confident I’m going to have a great time and be able to develop my skills in a range of different areas. On my first day, I was asked to come to the Glasgow office and meet the team based there. I’d had a chance to chat with some of them previously, on the assessment day that took place there a few months ago. From day one, everyone was very friendly and welcoming. I spent some time with each member of the team which gave me some insight into what their working day looks like. The team then set me up with my own laptop and gave me a detailed overview of my role. By the end of the day I was feeling properly prepared for this exciting new challenge. On day 2, I was working with the Edinburgh team, which is where I will be based for the next couple of years. The Edinburgh team are in a slightly smaller office, but they certainly make up for it with their idyllic location. The office is on Bell’s Brae in Dean Village – one of the most picturesque places in the city! Just like in Glasgow, the Edinburgh office is really cool and is equipped with a fully stocked bar and coffee machine! The Edinburgh team have been very accommodating and have helped me to settle in easily. Very soon I was assigned with my first software development tasks: content updates for a system created a few years ago. I found it interesting to see how a ‘real-world’ web application works and how such updates can be performed, tested, and merged with the production code. The very next day I had an opportunity to see one of the most recent projects written in ReactJS, which was interesting to experience in comparison to a ‘legacy’ project. Half-way through my first week our office was surprised by a visit from the entire Glasgow team, who came to Edinburgh to work with us for a day. Towards the end of the day, we were given a floor talk by the Managing Director, Andrew Duncan. It was exciting to learn about some of the upcoming projects that SwarmOnline has in the pipeline. After work, we all went for a meal and drinks, which helped me to bond with my new colleagues and feel more like part of the team. I am incredibly grateful for this opportunity and I’m excited to work together with the Swarm team to deliver some of our upcoming projects. 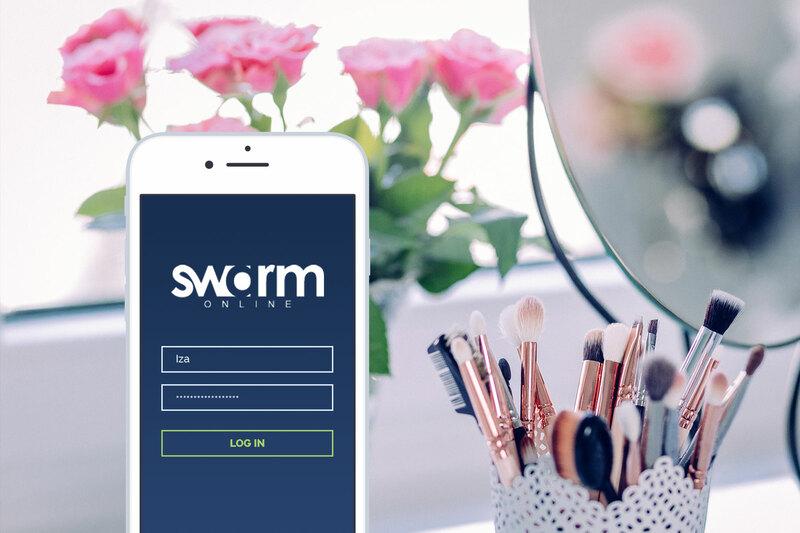 While I wasn’t sure at first how my skills would transfer to this role and how the various elements would come together to create software – I now feel entirely confident and enthused about what’s to come during my next couple of years here at SwarmOnline. Interested in becoming a Swarmer? Have a look at our current opportunities here!